Email bounces are a fact of life for most small business owners and marketing managers. While small email bounce rates are nothing to worry about, more substantial bounce rates can land your IP on a blacklist. To learn more about email bounce rates and how to minimize them, continue reading. An email is considered “bounced” when it cannot be delivered to a user. Bouncing can happen for a number of reasons, but most typically occurs due to invalid addresses, server issues, and full mailboxes. Hard Bounces vs. Soft Bounces: What’s the Difference? All bounced emails fall into one of two categories: soft bounces and hard bounces. A hard bounce occurs when there is a permanent delivery failure. Permanent delivery failure can be a result of invalid email addresses, outdated domains, or an unused email address. A soft bounce, on the other hand, occurs when the delivery failure is only temporary. Soft bounces can happen as a result of server issues, full mailboxes, and large email files. How do I measure my email bounce rates? Although email marketing benchmarks vary by industry, email bounce rates above 2% are generally a red flag that you need to reevaluate your email subscriber list and how you are collecting emails. NOTE: While you can always manually calculate your bounce rate, most major email marketing tools, like Campaign Monitor and MailChimp, automatically calculate this metric for you in campaign reports. How Do Bounce Rates Impact My Business? 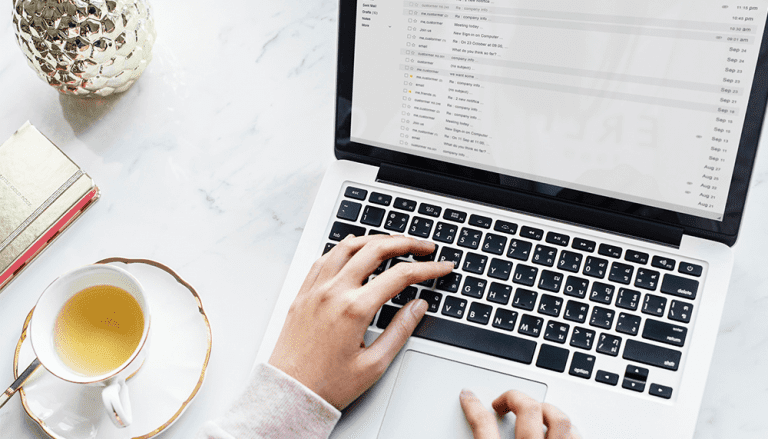 Email bounces are inevitable, but it’s critical that you or your marketing manager keep an eye on bounce rates as your subscriber lists evolve. Consistently high bounce rates can be detrimental to your deliverability and sender reputation and ultimately result in your IP being blacklisted. To reduce your email bounce rates and maintain your sender reputation, use the following tips. Always ask for permission to add someone to your subscriber list. Try implementing a double opt-in feature. Provide both plain text and HTML versions of your emails. Select a recognizable “From” email address and name. Suppress email addresses that have previously bounced. Avoid using spammy language in your email. Equipped with this knowledge, your company should see dramatic improvements in your email marketing campaign metrics and sender reputation. If your business or marketing team needs help creating effective email marketing campaigns and minimizing bounce rates, contact the digital marketing experts at Front Porch Solutions. We are a digital marketing agency specializing in inbound marketing and content marketing. Our email marketing specialists can help you effectively reach your customers and improve your email marketing ROI.